Where will our next invaders come from? https://fishthefly.com/wp-content/uploads/2017/03/ftf-logo.png 0 0 Fish the Fly https://fishthefly.com/wp-content/uploads/2017/03/ftf-logo.png Fish the Fly2017-04-13 11:31:002017-04-13 11:31:00Where will our next invaders come from? Chico Fernandez: “All Wired Up” Choosing Wire for Saltwater Leaders [http://r20.rs6.net/tn.jsp?llr=9qa5g8n6&et=1104071034278&s=9198&e=001-W_6Mu2D9cfNNVbPpMk6Tn9geZQxSGaCueOyJeCA1K3sshGXC2OYWCEicjEh1pNkfYkRli8kIFEZsMMY2T4NT3SLElTMndhu7CxIkjdxL-EKvVMobwB0HWB6A7m6iWcFBuE_F5hQYTMrYDn5GxaOBegdYaVlIpEpo9AhFeUviDc=] ONE COOL FALL morning a few years ago, a friend and I were drifting over a reef in about 80 feet of water. We were looking for snapper and grouper, and some mid-water species, such as jacks, Spanish mackerel, and kingfish. 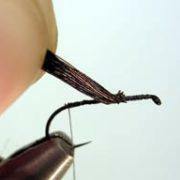 My friend was using a spinning rod with a lead jig. I was using a fly rod and a fast-sinking line. After some inactivity, my friend landed a Spanish, or cero mackerel. As soon as he boated that one and dropped his jig again, he had another on. I watched the second fish fighting down deep and noticed that we were over a large, loosely knit group of ceros. It was only a matter of time before my fly would catch the attention of one of these super fast members of the mackerel family.